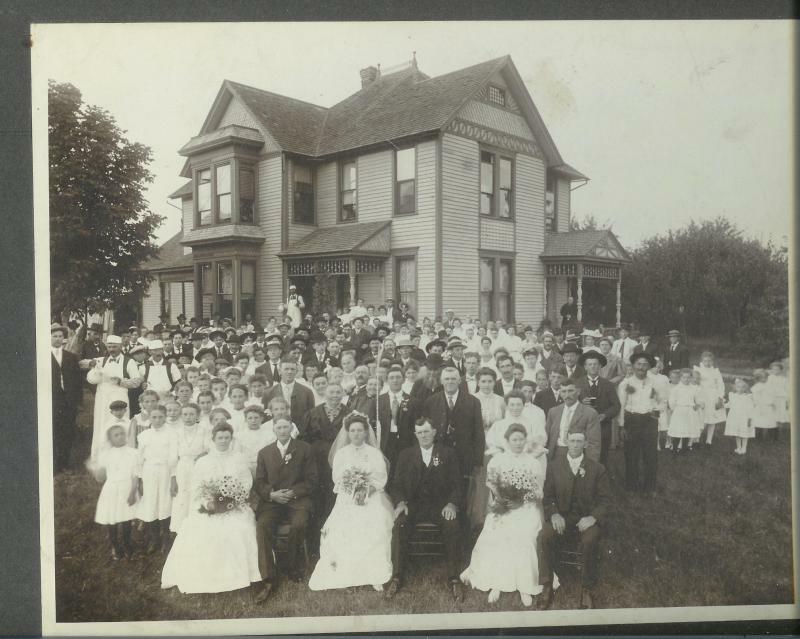 Comments: Johann Leonhardt Schnell (Nee: ) | Richville MI United States | 1901-1920 | Comments: This appears to be another Schnell wedding. The groom is a Schnell brother but I am unsure which one. The man sitting on the far right is C. Friederich Schnell. In the second row the first adult woman is Sally Ursula Kern Schnell, mother of the groom. Standing next to her is another of her sons, Carl Wilhelm Schnell. Next to Carl is his father, Johann Leonhardt Schnell and his youngest daughter, Mary Schnell Weber is standing next to him.